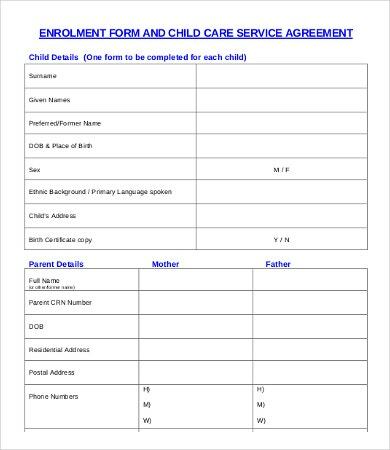 A form is a document with blank spaces to be filled in with particulars before it is executed with spaces (also named fields or placeholders) in which to write or select for a series of documents with similar content. The documents generally have printed parts in common, except, possibly, for serial numbers. Forms are mostly used in offices, government establishments, hospitals, and so on. 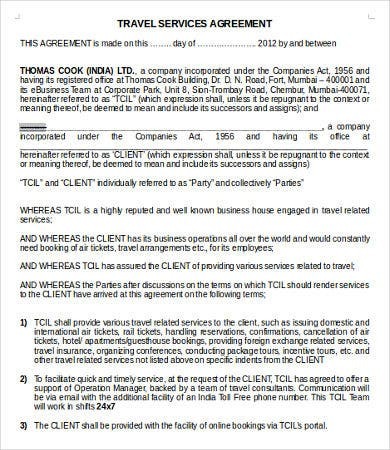 We’ve gathered 9 forms specially made for service agreements. So if you are creating or still looking for precreated ones, these are all yours to take advantage. Ours is a great way to lessen the time ad stress on your part. Check them out. 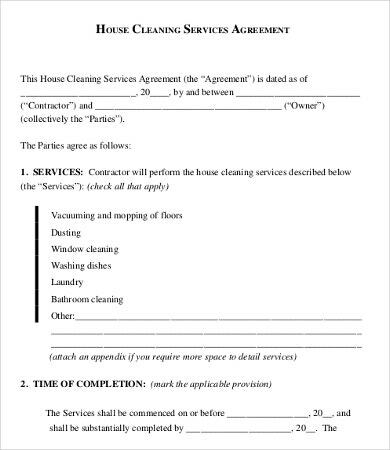 We also have Confidentiality Agreement Forms if you’re looking to add nondisclosure clauses in your service agreements. 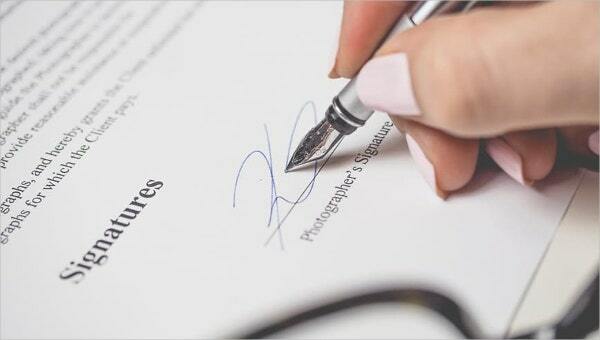 A feature found in some warranties and sales contracts is called a service agreement. This is a feature offered along with a warranty for a product for the manufacturer to provide service or inclusion of any costs of service in case the product fails during a given period. Service agreements greatly differ from a bond. 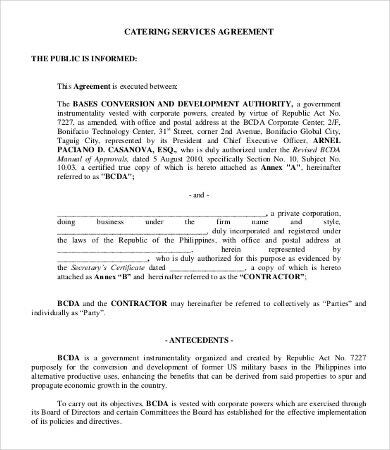 A service agreement also secures both parties to the agreement, whereas a bond is one-sided and only binds the employee to the agreement. 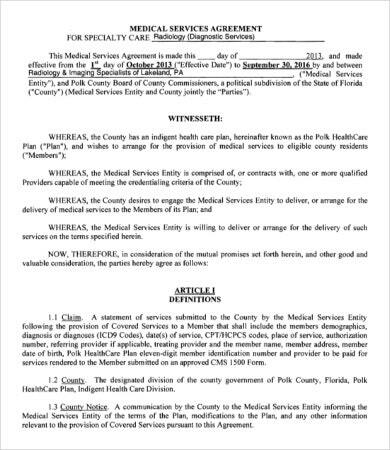 Why Are Service Agreements Important? Way back in the year 2007, service agreements (contracts or service-level agreements) were far less common among small technology consultants. Currently, they are commonly used due to the rise of managed services. 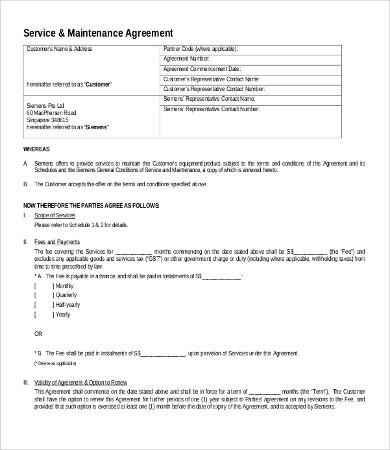 Today, in any business, it is always thought that “the customer is always right”—that is, every expectation that the customer has are written in the service agreement, service level agreement or SLA. The SLA as a whole identifies the core services provided to clients and details their responsibilities in making sure that everything is being met in accordance with the service agreement. One thing that is necessary is the customer feedback or survey. It is one of the reasons why products and services are steadily innovating. 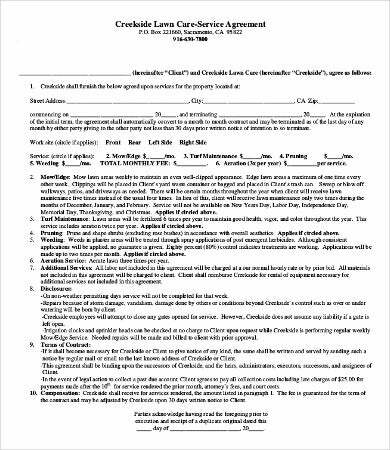 Our Rental Agreement Form is a good deal for you to check. 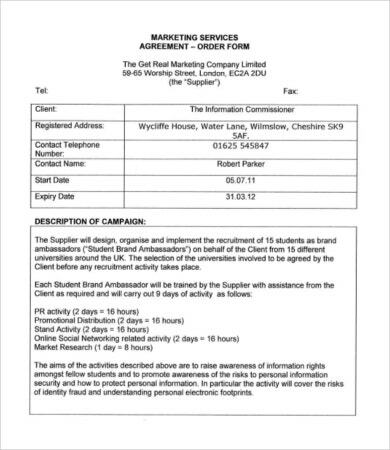 When the service agreement is being prepared, the customer and retailer both have the opportunity to really get into the goals of the application being controlled and optimized and discover how much an application can really be improved, not only by creating a document for setting easy goals and getting retailers paid. 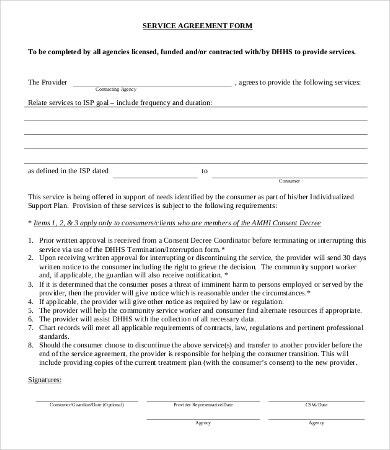 We all know how necessary this form is if in case you are planning to purchase or you want to sell products. And if you are planning to create one for business purposes, why not download our forms for a hassle-free process? There are 9 forms for you to choose from, and each comes with different content to match your business need. Our forms can be downloaded straight to your device anytime and anywhere. Plus, you can also edit them just in case there is a need for you to add or remove some elements. Once done, you can print them easily. You can also share this with colleagues who are also looking to draft their own SLAs. 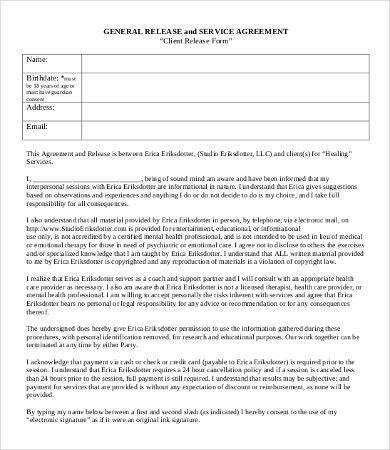 Our Nondisclosure Agreement Form is another selection you could study to further add more clauses or conditions in your agreements.